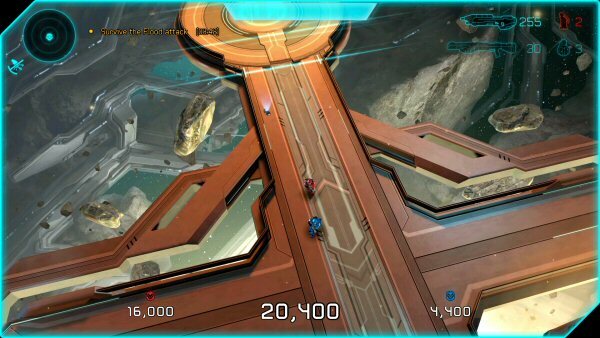 Seeing Halo as anything other than a FPS feels somewhat strange. 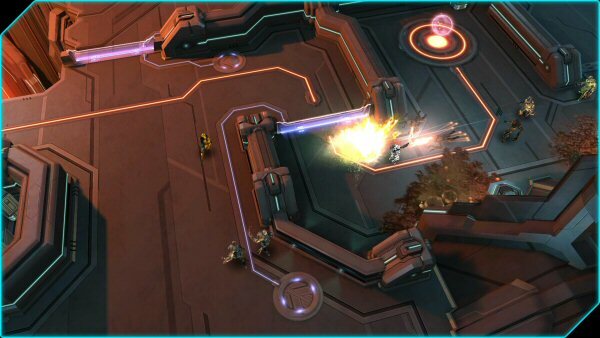 Halo goes in a different direction with Spartan Assault, becoming a top down third-person arcade shooter reminiscent of Contra and Smash TV. 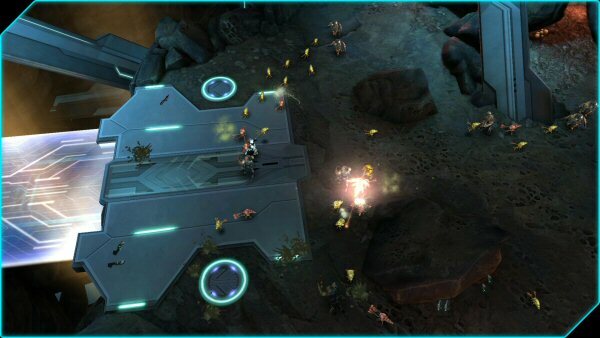 Halo: Spartan Assault offers a single-player campaign consisting of six missions divided into bite-size chapters. 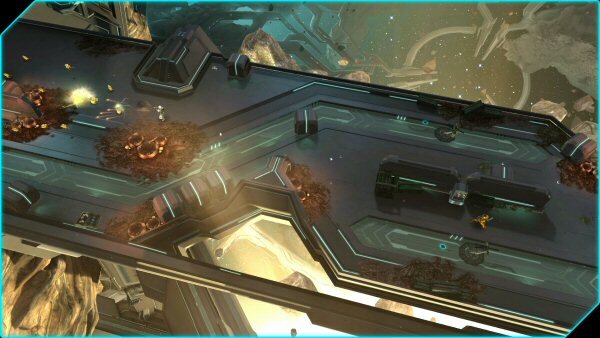 The story takes place between the events of Halo 3 and Halo 4, and revolves around Spartans Palmer and Davis and their efforts in the endless battle against the Covenant. 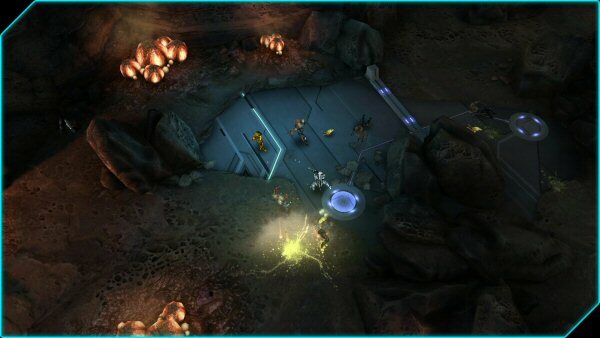 Aside from the single-player campaign, there is an online only co-op campaign for two players, which is basically a survival mode through five stages. 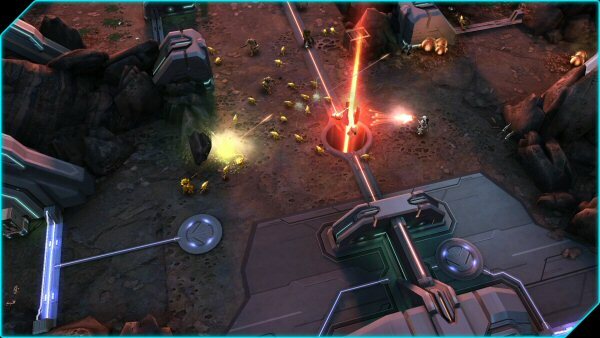 It is a shame that there is no local co-op, something that I really enjoyed in the Halo franchise. Coordinating efforts with someone else who is sitting next to me has always been a rewarding experience, so it's disappointing to not find that option here. 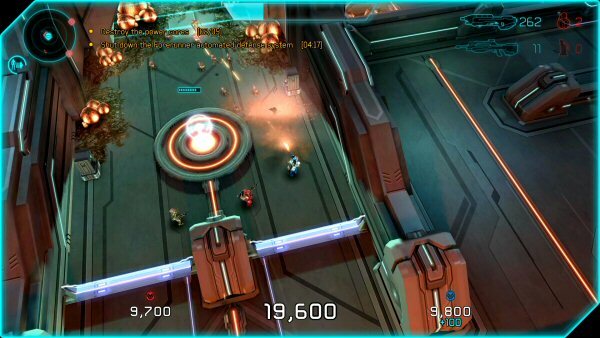 The game offers your traditional Halo mechanics, such as shields, health regens, rechargeable abilities, plasma grenades and a lot of familiar weaponry that we have grown accustomed to. However, there are a number of weapons that are locked by micro-transactions - sniper rifle and rocket launcher, to name a few. These can be purchased with credits (obtained with real money) or with experience, but the amount of experience gained at the end of a given level is just barely enough to purchase one. Not to mention that they are lost upon dying and can only be used once per level, so overall, this seems like a pretty unfair system, but at least the game is still playable without them. Occasionally, you also get to hop into a vehicle for some extra destruction and fun. The controls are fairly functional, with the exception of aiming with the right analog. It works fine when you are shooting things that are close by, but when attempting to hit something at a fairly decent distance, forget it, it's nearly impossible and results in plenty of wasted ammo. There is no crosshair or any kind of marker to help you aim, so many times the direction you have the analog aiming at isn't exactly the direction of what you are trying to kill. The missions vary between escorts and sabotage, to kill everything in sight or defend something, and are usually over just as you start having some real fun. 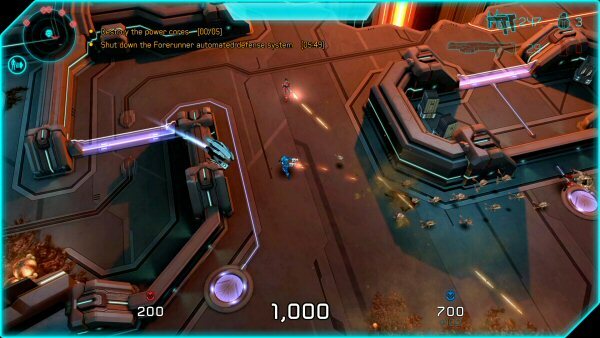 Seeing as the game is basically a port of the mobile original, which was launched on Windows 8 phones and tablets, the short missions and 3-4 hour campaign is not a surprise. There are six optional skull difficulty challenges that should keep the most completist gamers busy for a while, but that's about it. For an Xbox One title, I have to say I expected more of the graphics, which makes it more obvious that the game wasn't rebuilt for the platform but ported instead. It looks clear and high res, but there's not much going on to make it stand out in that aspect. 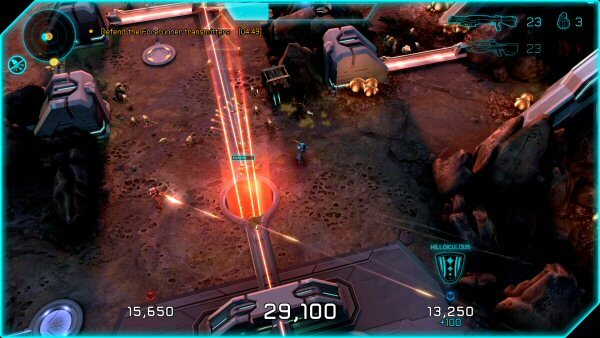 While I had my doubts about Halo as anything other than an FPS, Spartan Assault actually works as a fun arcade shooter, even with its major flaws being the lack of a local co-op and the absurd micro-transaction system. 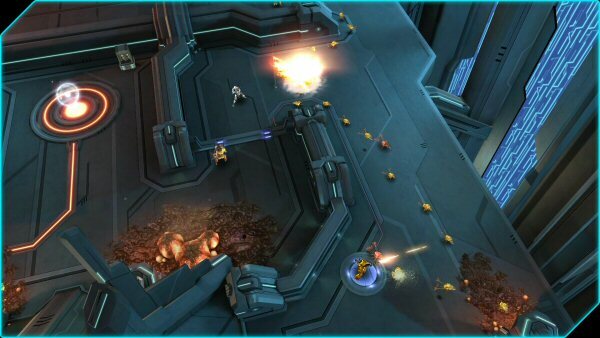 Halo: Spartan Assault is an interesting choice for taking the franchise in a new direction, but it doesn't have the longevity or appeal a Halo fan would expect for an Xbox One title.